Rep. Trey Gowdy, a South Carolina Republican and the fiery former chairman of the House Select Committee on Benghazi, announced Wednesday he won't seek re-election in 2018. He becomes the latest in a string of GOP committee chairmen who have decided to leave Congress as the GOP faces what could be a challenging midterm election. In a statement, Gowdy, who currently chairs the House Oversight and Government Reform Committee, said he will return to law instead of seeking a fifth term. A former federal prosecutor, Gowdy was first elected to the House in 2010, and became chair of the House Oversight Committee last year after Rep. Jason Chaffetz, R-Utah, resigned his seat and his position as chairman. As chair of the House committee tasked with investigating the 2012 terrorist attack on an American diplomatic compound in Benghazi, Libya, Gowdy was vaulted into the national spotlight for his intense and critical questions about whether then- Secretary of State Hillary Clinton could have prevented the attack or dealt with it more effectively. Rep. Trey Gowdy, R-SC., on the House floor for the arrival of President Donald Trump to addresses a joint session of Congress on Capitol Hill in Washington, Jan. 30, 2018. Gowdy's South Carolina seat is not expected to be a pickup opportunity for Democrats eager to regain control of the House in the 2018 midterm elections. President Donald Trump won Gowdy's district by more than 25 points in the 2016 presidential election, and Gowdy cruised to victory by more than 35 points. 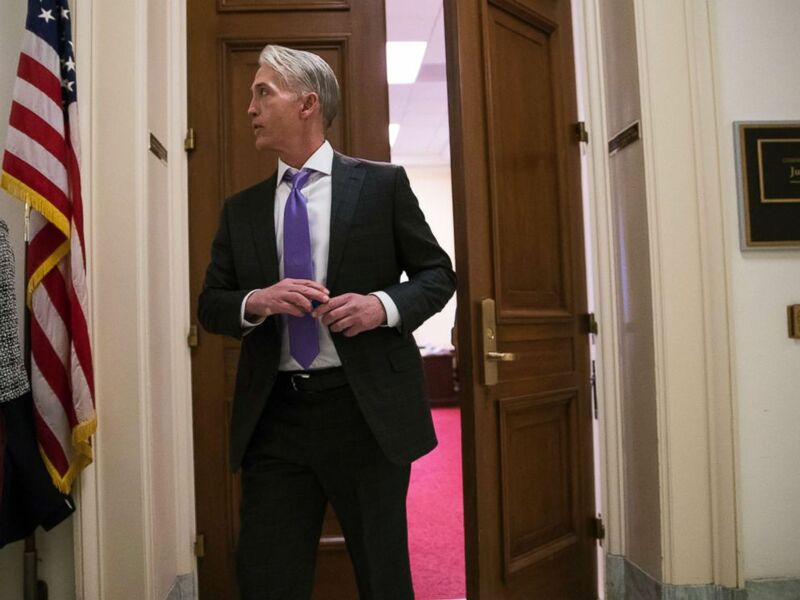 “Trey Gowdy exemplifies the persona of a public servant. His tenure in the justice system allowed him to bring a deep breadth of knowledge to Congress on the importance of fully prosecuting those who commit violent crimes, while keeping victims' rights intact," Rep. Steve Stivers, R-Ohio, who chairs the National Republican Congressional Committee (NRCC), said in a statement Wednesday, "The NRCC is confident this seat will stay solidly in Republican control in November." Gowdy was often criticized by Democrats for how he conducted the investigation into the 2012 Benghazi attacks, and the Democratic Congressional Campaign Committee (DCCC) released a statement Wednesday slamming Gowdy for just that. “Rep. Gowdy’s tenure in Congress made a mockery of Congressional oversight and his eagerness to use the deaths of brave Americans overseas in service of his partisan, political goals is a dark and shameful chapter in the history of the House of Representatives," DCCC Deputy Communications Director Patrick Burgwinkle wrote in a statement. Rep. Trey Gowdy, R-S.C., chairman of the House Oversight Committee, on Capitol Hill, Jan. 18, 2018, in Washington. Other Republican members of Congress and U.S. Ambassador to the United Nations Nikki Haley, formerly the Governor of South Carolina, all praised Gowdy. Next year won’t be the same without @TGowdySC to work & hang out with.Both professionally & personally he is truly one of a kind. 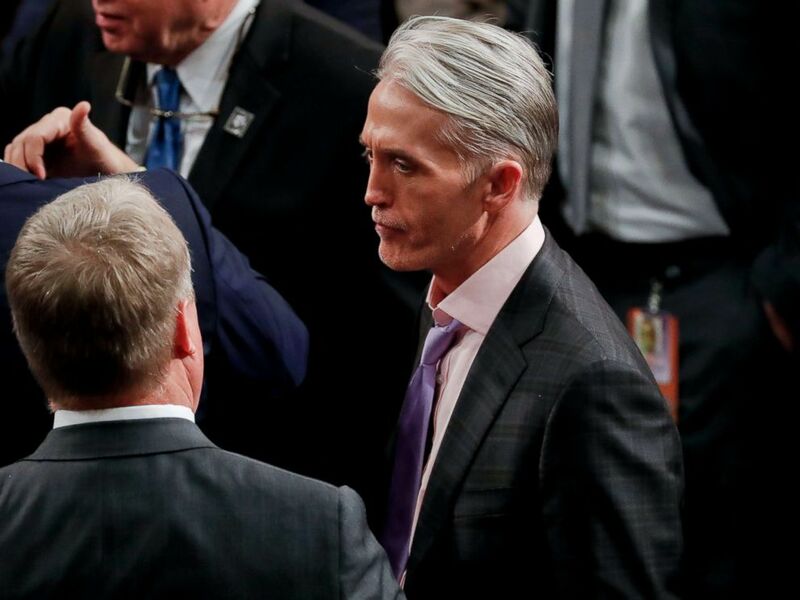 I always said the reason @TGowdySC was amazing at his job was bc he disliked politics so much. Trey, thank you for your impatience, sacrifice, and fight to make our country a more just place. SC and our country thank you for your service. I thank you for your friendship. ????
. @TGowdySC will be missed both by the South Carolina delegation and by his constituents in the Upstate whom he served with great distinction. However, I know Trey will be just as successful and impactful in his next endeavor.